Cyphotilapia frontosa common name Frontosa Cichlid. They can grow over 30 cm / 12 inches long. 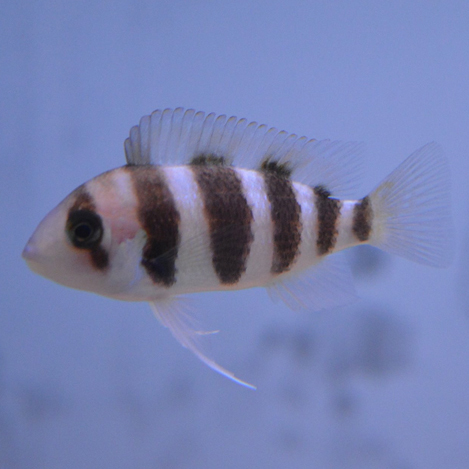 They live in water parameters of PH range 7.5-9.0, and temperatures of 22-28 Celsius / 72-82 °F. The frontosa fish is a member of the cichlidae family, they do have an aggressive side. So mixing with bigger more aggressive cichlids is always best. 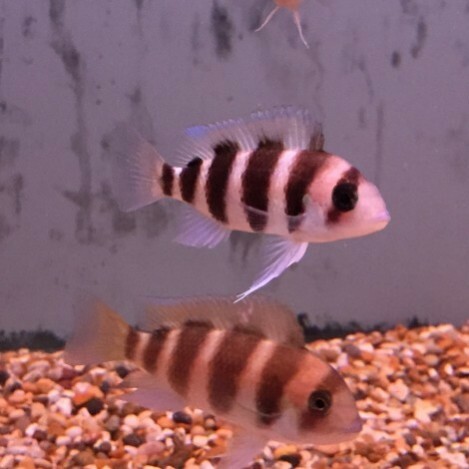 As the frontosa gets bigger they get a large frontal hump which develops when the fish reaches maturity, which is when they are about 4 inches long. They are a greedy fish, they will eat any food you put in the tank for them. As they get bigger they will require more substantial food to keep them happy and healthy. 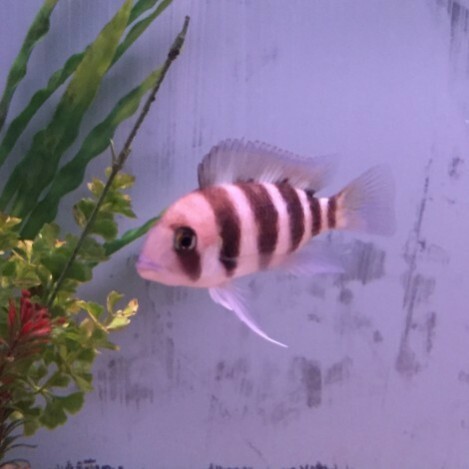 Colour enhancing foods is a good idea for the frontosa to keep there colours nice and bright. They like a diet of flake, pellet, and granular foods. Feeding live or frozen foods are always good as a treat. Flakes, pellets, and granular foods is best. Live or frozen food is a good treat but as they grow feeding it more in there diet is good to keep them from eating other fish. Feeding these fish once maybe twice a day is a good idea, but more food you put in the more you will need to do water changes to keep your water right.